Tegu lizards are large reptiles commonly kept as pets. 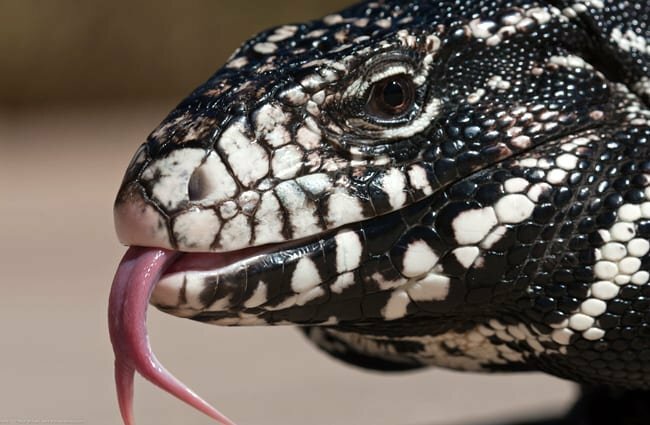 There are a number of different reptile species and groups referred to as “tegus.” For our purposes we will stick to the common pet species, the black and white tegu, also referred to as the giant tegu, and is native to South America. These lizards are popular pets because they are intelligent and charismatic, and you can even housebreak them! 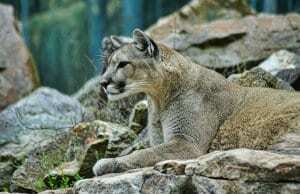 Read on to learn about the assigned animal. 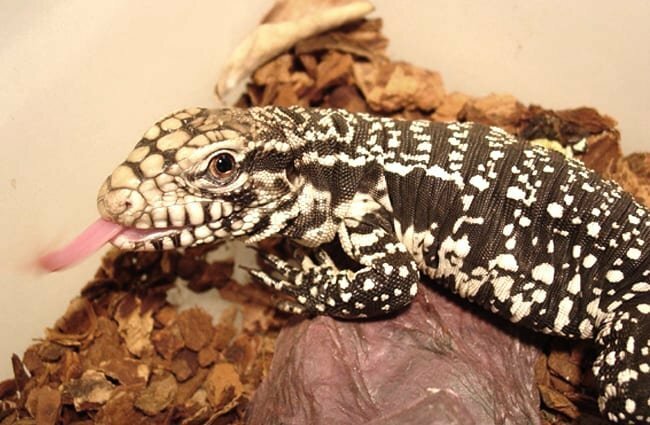 This tegu species is the largest of the tegu lizards, and males can grow up to 4.5 ft. long. Their coloration varies based on their age, but they are generally mottled black and white with varying amounts of other colors. 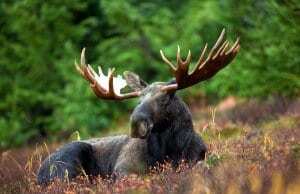 They have large, thick heads, and “chubby” looking necks that have fat deposits in them. Though they usually walk on four legs, when threatened they can run on their rear two feet to look more intimidating! 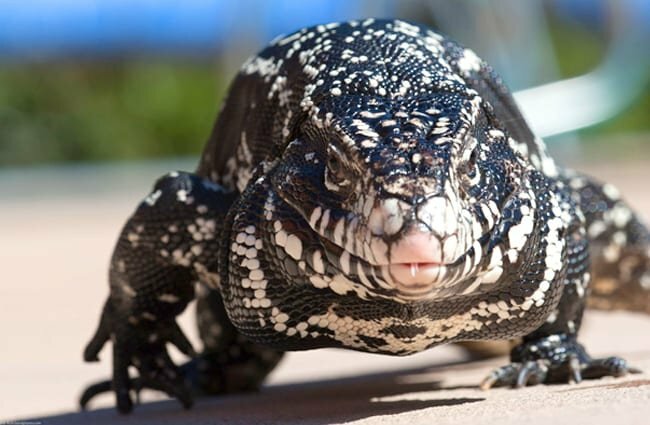 You have probably seen a viral video or photo of a dog-like tegu lizard, and thought about owning one as a pet. Learn more about them before you consider if they are the right choice for you. Socialize, or Else! – It is true that these reptiles can be incredibly docile when handled frequently. In fact, they can actually become very attached to their owners. 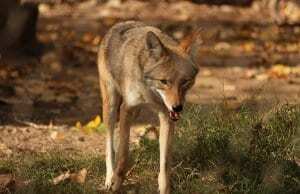 However, unsocialized or improperly handled animals can become aggressive. Chompers – Getting bitten by a tegu is no walk in the park. Adult tegus have short, thick skulls that are well muscled. When they bite, the force is actually stronger than that of a dwarf caiman. Their upper jaws have sharp teeth, and a bite can require stitches. Warning Signs – Like most animals, tegus will let you know when they are uncomfortable or distressed. Warnings, called precursors to aggression, generally herald a bite or other aggressive behaviors. Some ways a tegu warns that it might bite is by stomping its feet, lashing its tail, or huffing loudly. BFF – However, when you care for them well, and carefully socialize and handle them properly, these reptiles can be extremely personable. They will bond with their owners, and become quite attached. They are mellow, and affectionate, and if you care for them well, they can live up to 20 years. 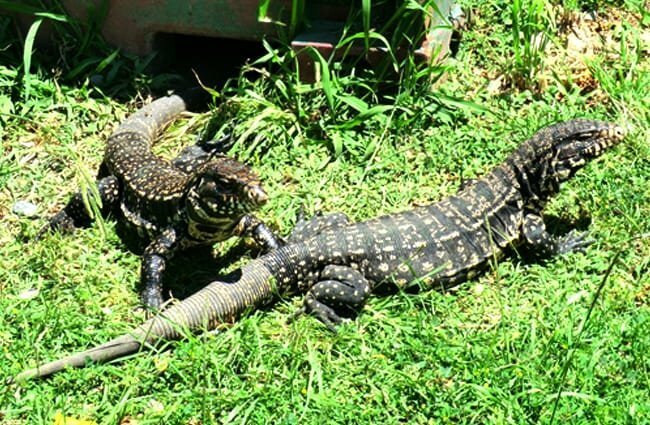 In the wild, tegu lizards live in a variety of different habitats, including tropical rainforests, woodlands, savannas, and semi-desert habitats. 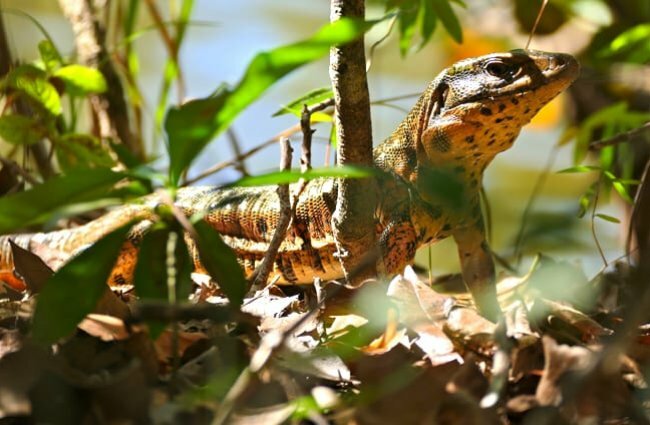 Unlike some other lizard species, they are not arboreal as adults, but prefer living on the ground. Like most arboreal reptiles, younger, lighter individuals spend more time in trees where they are safer from predators. These reptiles reside in South America, throughout the habitats described above. 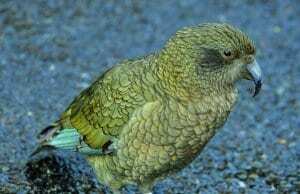 In their natural range, they are abundant and successful. They have also been accidentally (or purposefully) introduced as an invasive species in parts of Florida. These likely escaped, or were human-released pets that people could not properly care for. The primary danger of tegus as an invasive species is their habit of digging up and eating alligator and turtle eggs. Tegus are omnivores, which means that they will eat both plants and animals. They aren’t very picky, and will eat a large variety of foods. This is generalist feeding behavior. Younger animals eat mostly spiders, snails, insects, fruits, berries, and seeds. As they get bigger, they will eat more eggs, small birds, and even small mammals. The most interaction these lizards have with humans is through the pet trade. As household pets, frequently handled tegus can be very docile and friendly. Because they breed well in captivity, we do not capture these animals in high volume for the pet trade. 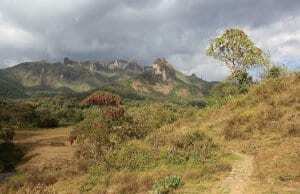 Their wild populations are stable, and we haven’t threatened them with extinction at this time. Though humans do breed tegu lizards in captivity, they have not domesticated them in any way. They are still wild animals. Yes, tegu lizards can make good pets. Always ensure you take care when handling the lizard, and supervise young children and pets. 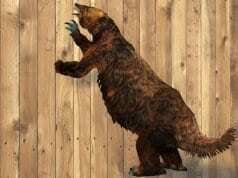 Because they are omnivores, they will attempt to eat other small animals, like gerbils and hamsters, if given the opportunity. Because they can grow quite large, it is important you prepare to graduate your tegu’s cage as it grows. Be fully prepared to have an animal at its maximum size, rather than assuming it will grow slowly or not reach its full length. Hatchlings can grow up to one inch per month, so make sure you are prepared for rapid growth! You should provide constant temperature and humidity based on the recommendation of your breeder or veterinarian. Their diet should consist of a protein source, such as cooked egg, chicken, or turkey, and a mixture of fruits and vegetables. 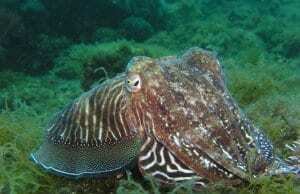 These reptiles are solitary creatures that are most active during the day, or diurnal. 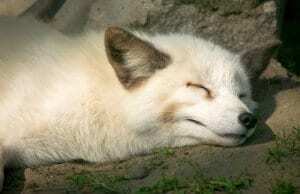 They spend their time alternating between basking in the sun to regulate their body temperature, and searching for food. During the winter months they go into a hibernation-like state called brumation. 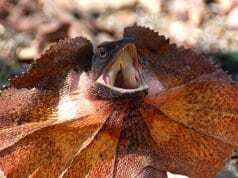 Brumation occurs when the temperature drops below a certain point. During the rest of the year they are quite active creatures. 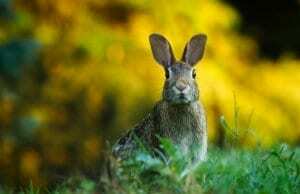 Reproduction occurs when the animals emerge from their brumation period in the spring. Mating takes place over a few weeks, and the female begins building her nest about a week after mating. Nests are quite large, and can be 3 feet across and 2 – 3 feet tall. The female is very protective of her nest, and will attack anything she views as a threat. She will lay anywhere from 10 – 70 eggs per clutch, but the average is 30 eggs. Incubation time varies by temperature, and can range from 40 to 60 days in length.